The Breakfast Club, Family Feast Style! 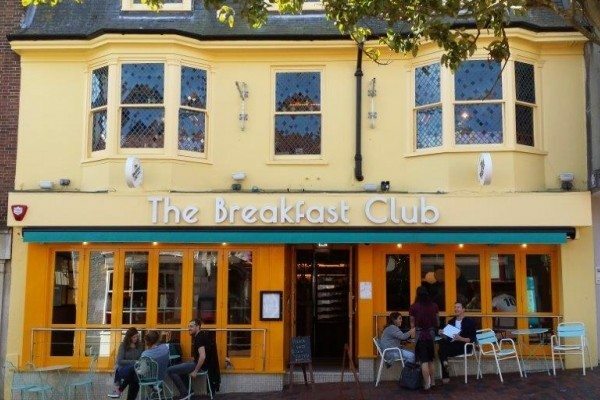 Just a few minutes walk from the seafront and slap bang in the middle of The Lanes is The Breakfast Club. I have spent many a morning here sipping Mimosas and tucking into their Huevos Al Benny which are downright delicious. Not only do they do dinner, but their menu is very American in its style, and as a Yank I couldn’t wait to come and test the authenticity, forks up! When we arrived it was fairly early for dinner service so we had our pick of spacious booths to choose from. Once settled in our very sweet and friendly waitress walked us through some cocktail options and gave us a few main recommendations too. 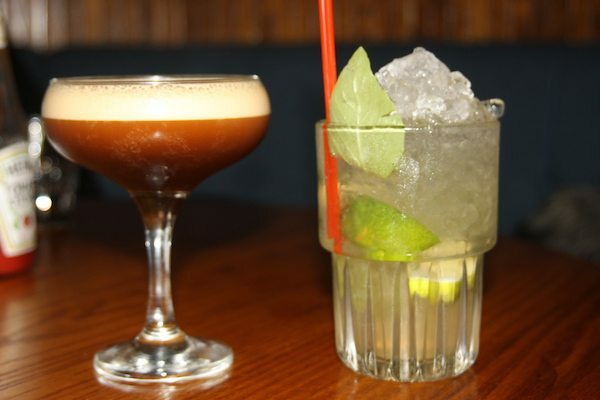 I was really impressed and surprised by the drinks list, it was full of craft beers, cocktails, smoothies, and spirits, they even had an alcoholic milkshake which sounded amazing. At the moment I am currently with child so I wasn’t able to cocktail, but luckily my selfless husband ‘generously’ offered to sample them on my behalf, surprise surprise. We ordered the Long Island Iced Tea and a Slow Boy fresh squeezed juice, which were expertly made by our dashing cocktail master (shout out). When it was ordering time and our waitress returned I asked if there was anything I just had to try, and she immediately rattled off seven dishes that she loved. It’s a great sign when your staff loves and knows the food inside out and I really appreciated her enthusiasm so I handed her the menus and just asked her to bring out anything she thought we should try… it was the best decision ever! After only a short wait she began bringing over the goods and said ominously “Don’t worry, the kitchen won’t expect you to eat it all.” She then proceeded to make four trips to the food lift to bring over our SEVEN full sized dishes to try, which included three starters, two big mains, and a humongous stack of pancakes covered in whipped cream and berries for dessert! 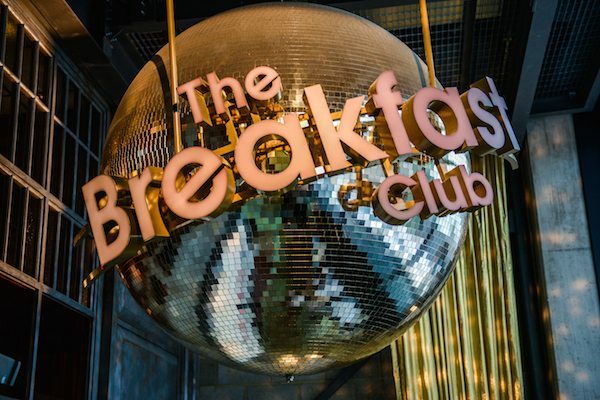 They clearly knew their very pregnant audience, well played Breakfast Club well played. After the initial shock wore off we got our game faces on and tucked in to some of the best American eats I have had since I was last stateside. As we were reaching over each other to get at all the different dishes it dawned on me that this is exactly how I love to eat at home. Our waitress had inadvertently stumbled upon the best way for guests to experience their authentic American menu, family style! I would 100% recommend coming here and ordering a feast between some friends and then trying everything. Why limit yourself to one main when you can sample all their lush food as a family? Other than having the misfortune of being a Canadian dish (just kidding) these were excellent! 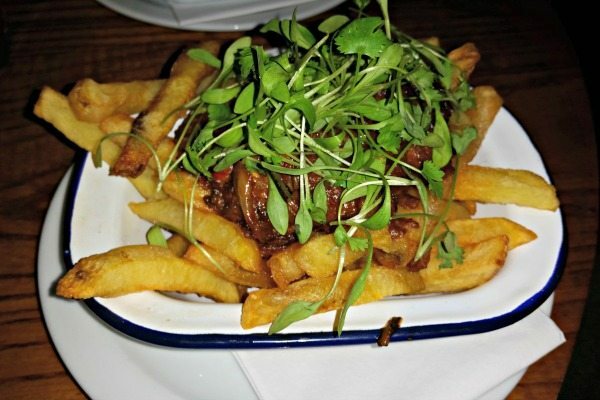 A generous serving of sticky sweet pulled short rib with creamy goats cheese served atop a piping hot pile of crispy french fries. In Canada they are a warming apres ski bite and the epitome of comfort food. A perfect sharing plate and absolutely ideal for my new tapas style Breakfast Club experience. Corn On The Cob, Mexicali Style! To give you a bit of background in Los Angeles, Abuelitas (little Mexican grandmothers) walk around my neighbourhood with trolleys, similar to an ice cream man on the seafront, selling boiled sweet corn instead of ice lollies. When you hear the bell ring you run at top speed to get in line for corn on a stick that is covered in mayonnaise and butter, rolled in parmesan, sprinkled with chilli powder and finished with lime juice. The Breakfast Club has put its own little twist on this classic street food serving it with creamy queso fresco (fresh cheese) instead of the parmesan and I absolutely loved it! One of my favorite California treats and we are lucky enough to have it being served right here in sunny Brighton! Even though we were faced with seven different plates of food, we had no problem finishing off every bite of the sweet, spicy, and savoury corn, delicious! Two main ingredients that you would think would be as easy as anything to make, but again so many have tried and failed to nail it. 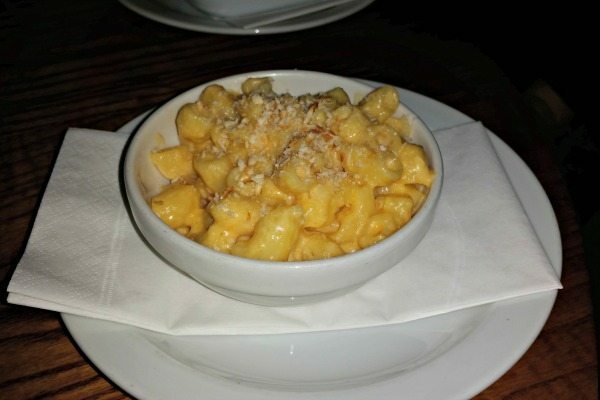 Thankfully the Breakfast Club has got a passion for Americana and this mac n cheese is creamy, thick with cheesy flavour, and topped with a bit of crumble to give it a crunch, if I didn’t literally have seven other dishes to try I would have smashed down the whole lot. 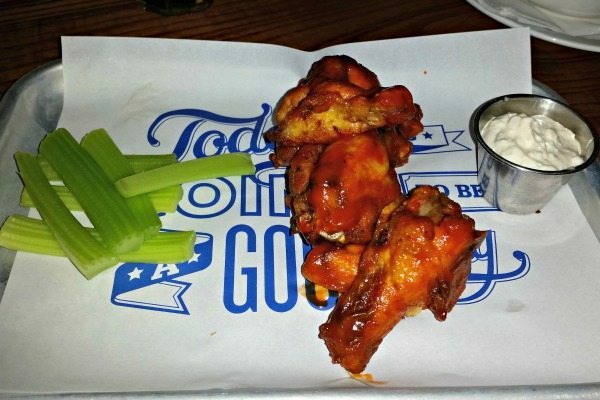 Buffalo Wings so spicy and perfectly authentic that they’ll make you wanna slap your Grandma! (That’s a huge compliment in American by the way). If they aren’t using the famous Frank’s Red Hot, then by god, they have created a wonderful substitute. 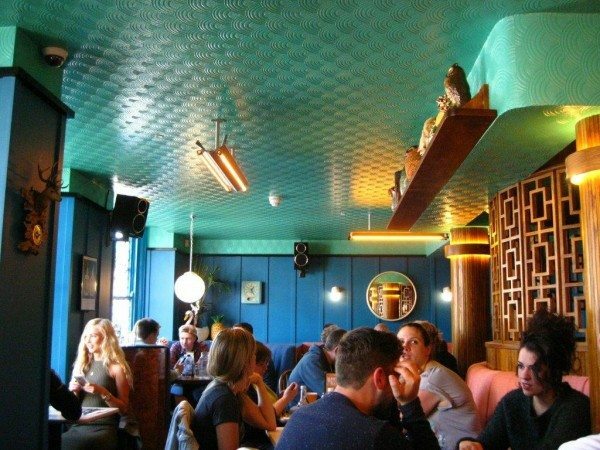 The Breakfast Club is serving the most authentic American buffalo wings in Brighton, full stop. Served with slices of cool celery and homemade blue cheese dipping sauce, this is just how God intended you to eat them. 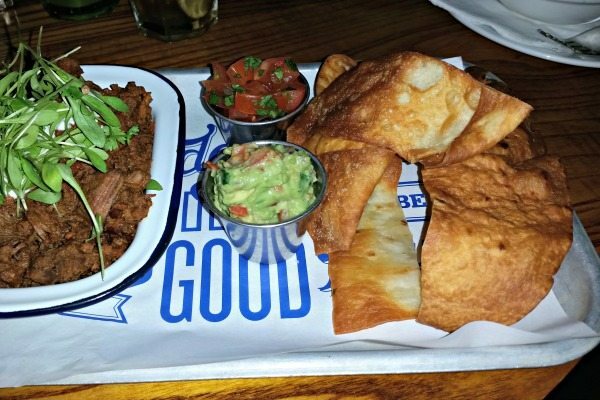 Beef Chilli served Mexicali style, with home made flour tortilla chips, fresh guacamole, sour cream, and pico de gallo; which is a home-made fresh chunky salsa that is excellent. The chilli was flavoursome and had a nice level of spice that pretty much anyone should be able to enjoy. The only thing I would have added would be more tortilla chips, they were so tasty and I could have had a whole bowl to myself. 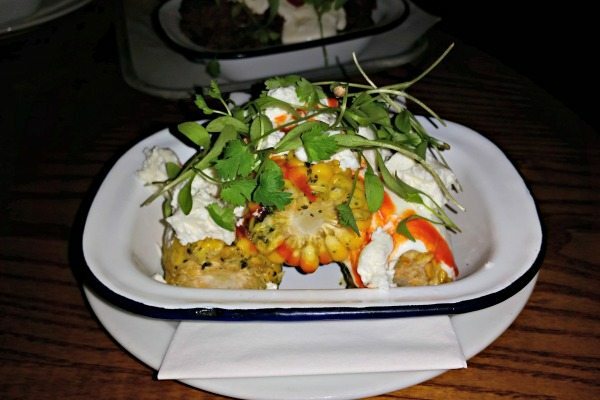 Yet another excellent sharing dish amongst friends. For this part of the review I’m going to need you to trust me in the same way that my friends trusted me at Thanksgiving when I said that sweet potato and marshmallow does work with gravy (they loved it btw). Please believe me when I say Fried Chicken and Waffles with maple syrup and gravy is a legit dish, and the Breakfast Club are doing it. I know it sounds like a kooky combo but honestly give it a try. If you are not keen to commit to the whole dish on your own just go family style and get one to share between you. 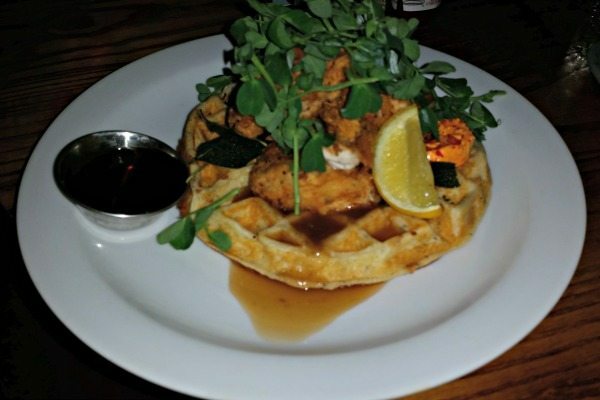 Crispy, sweet, salty, savoury, chicken and waffles has something for everyone. Americans believe that almost anything can be made better by deep frying it and covering it in syrup, so indulge and it may just surprise you. Whether you are coming for breakfast, lunch, or dinner do yourself a favour and order the pancakes to share for a sweet treat. From my experience these are hands down the best American pancakes in Brighton and I’m not afraid to say it! 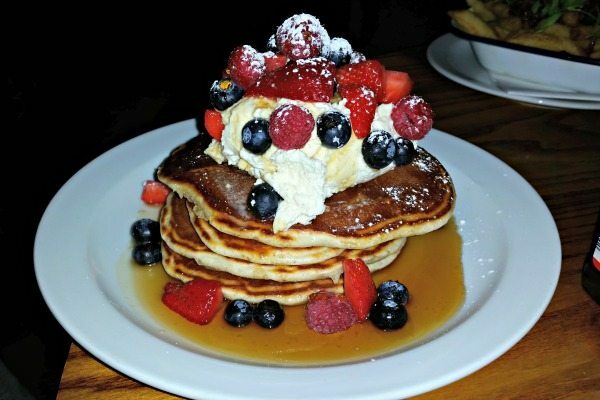 Piled high with fresh berries and whipped cream and served with real maple syrup, the pancakes are as pretty to look at as they are delicious. Even after seven dishes we couldn’t help ourselves and practically polished them off. Luckily I have a big round pregnant belly which helped when I needed to be rolled out of there! Sometimes you eat something that is so close to home it makes you wanna stand up and sing the national anthem, and I have to say the Breakfast Club nailed it. If you are looking for a taste of the States and some serious comfort food then visit the Breakfast Club and order up family style, you won’t disappointed. Not only was it an epic feast, but it was fun and casual and a great place for a date or a group of friends getting together, and I am so looking forward to coming back with my friends for a family style feast very soon!